Farm Girl Pink....: ~ Borden's Eagle Brand Milk... Ice Cream! 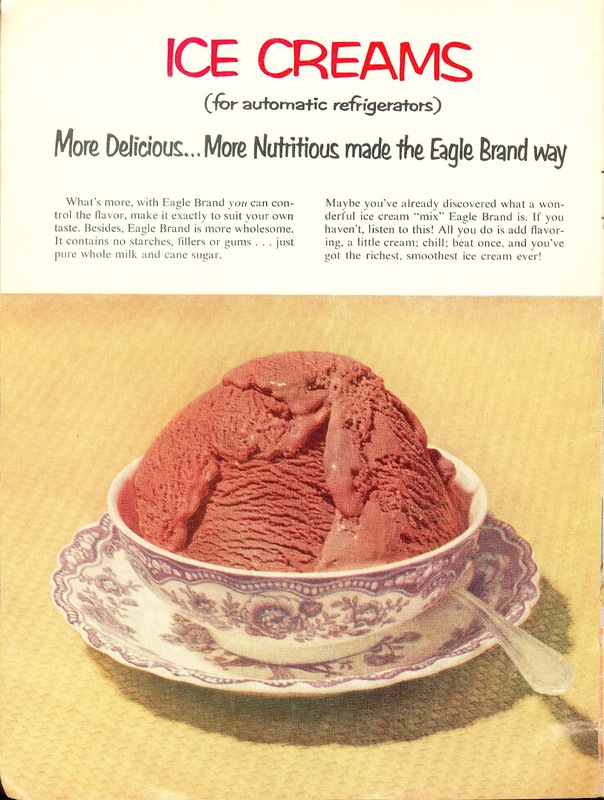 Now I do enjoy baking with Eagle Brand Milk. 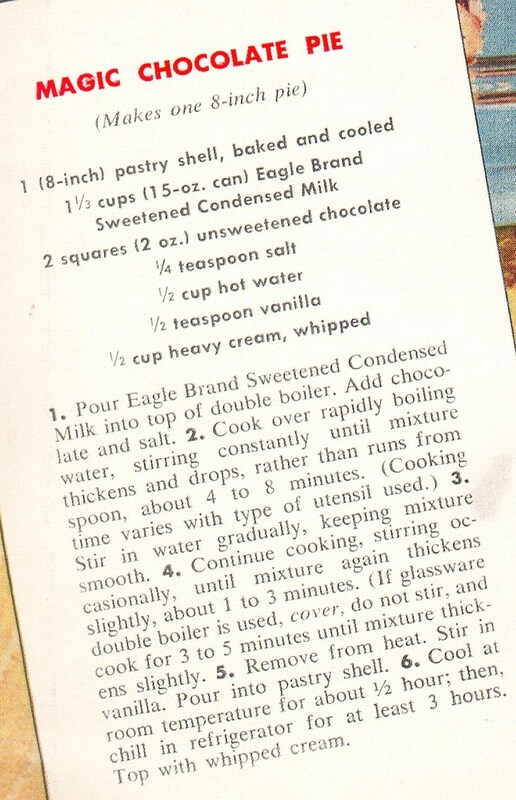 I have a Key Lime pie recipe, which requires a can Eagle Brand milk, that is a truly amazing pie. There are two types of Key Lime pie. One that is baked. One that is cold set in the refrigerator. I do the baked one... because that cold set pie, is just an unfortunate waste of pie. Anywho... I was thinking about ice cream. The homemade ice cream, that my Mother makes. The one that is based on a can of Eagle Brand Milk. If you love a bowl super sweet vanilla ice cream. 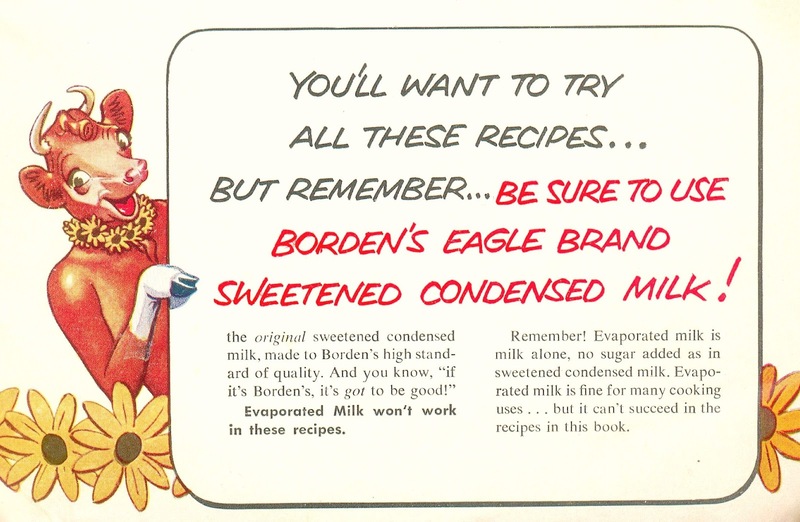 Use a can of Eagle Brand Milk. So I was looking for the recipe to make it. 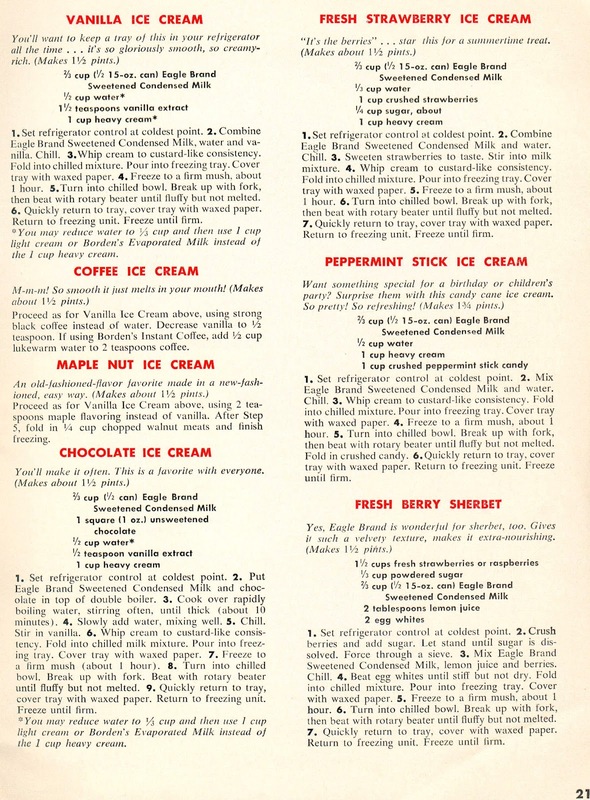 The version using the electric ice cream maker. Which I believe was purchase before I was born. Where you use crushed ice and salt around the metal cylinder to keep it from freezing up, as it turns in the yellow plastic bucket. 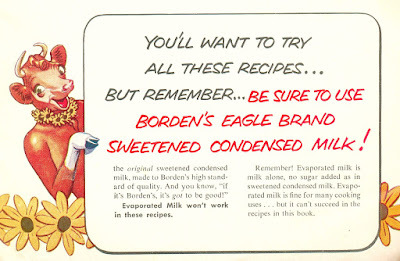 But as I was reading through these Borden recipes... I realize that these do not require the traditional ice cream machine. With the turning drum. How odd. Yet, they all look amazing. 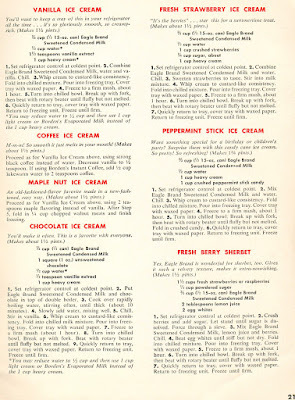 So as kept roaming through this Borden booklet, I saw this great recipe for Chocolate Pie. Using of course a can of that wonderful gooey sweeten condense milk! 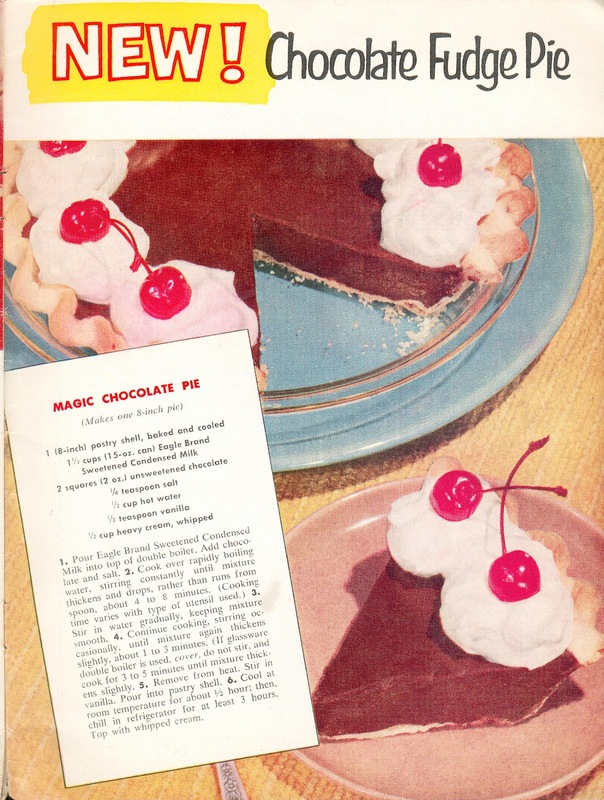 I have never liked a Chocolate pie, made with a package pudding. 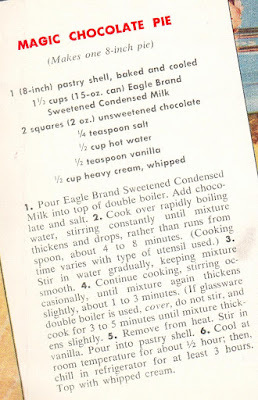 But the one made with a can of sweeten condense milk... is just divine. This is the one my Granny made. The one that requires a double boiler.